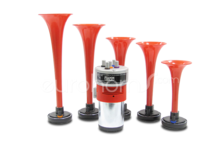 Fiamm Italian bus horn set. 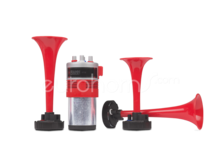 A 12v air horns set with a dual alternating sound. Often used by buses in Italy as a warning signal for oncoming traffic. 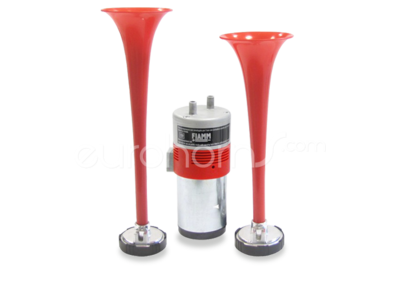 alternative for the regular Tour Horn. A wiring schedule (several options) is included. It is not plug and play, but with a little technical knowledge you'll be fine. you can always ask your garage to help you.